With warm, floral, fruity, or earthy aromas, our mineral rich, detoxifying salts and ingredients are the essence of spa indulgence. Salts are known for their health-enhancing minerals, therapeutic properties, and all-natural harvesting process. 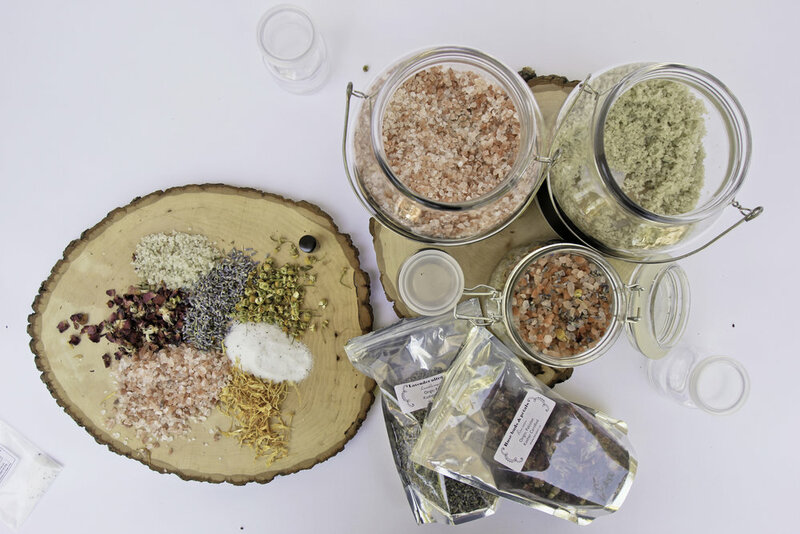 Party guests will love choosing from our colorful bath salts and combining them with dried flowers, herbs and essential oils to create their own therapeutic bath salt blends. These gorgeous bath salts make amazing bridal shower, baby shower, spa day, bachelorette party favors and more. Bath Salts are a party jewel! These gorgeous bath salts make amazing bridal shower, baby shower, spa day, bachelorette party favors and more. © 2016 - 2018 Vita Perfetta. All Rights Reserved.